Netflix is known for its amazing originals and stories. I’ve been watching dozens of series from last few years and been loving it all. Science fiction movies and series always attracts me and Netflix is the best place to watch such things. Sci-Fi series attracts me a lot because those things, which we can’t even imagine, are added into the Sci-Fi based movies and series. Netflix is getting popular day by day and free trial for 30 days is also offered by them. So, if you haven’t yet watched anything on Netflix, then get a trial and try it, believe me, it’s the best thing on Internet where you’ll be served with hundreds of science fiction and Sc-Fi series. As being a regular viewer on Netflix, I’ve watched hundreds of episodes and from dozens of Netflix Original series. I’m kind of selective person when it comes to watching the series on Netflix. So, I came up with some of the best Netflix Sci-Fi series which you should definitely watch right now. From start to end, most of the logic and imagination makes us feel astonished. Directors have used the most creativity and all the characters have played their vital role. You can watch these series on Netflix, but if Netflix is blocked then you should try these unblocked movie sites as these sites also offer many series for free. Salvation is my #1 choice when it comes to Netflix sci-fi and imaginative kind of series. There’s only 1 season released in 2018 and next season might come in 2019. There are different perspectives covered in the story. Basically, a big asteroid is about to hit earth within a few days and no one knows about it until an MIT student found it via a special algorithm which he designed. He then somehow contacted a tech billionaire and let him know that earth is going to be destroyed within a few days. Suddenly all the Govt. agencies were contacted and everyone started thinking about the ways and alternatives to stop that giant stone from hitting the earth. A special type of engine is designed which can travel at very high speed, which is further attached to a satellite. This method seems to be the savior of mankind. But, somehow they failed in it and you need to find out why they failed and what entirely happens in the story. I highly recommend you to watch this series. WHAT MAKES DESERT SAFARI DUBAI THE BEST CHOICE OF ALL? Why Wikipedia Had Been So Popular Content Marketing Platform Till Now? 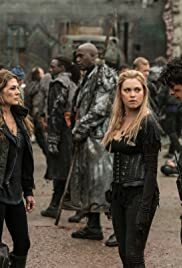 The 100 comes up with 5 seasons and Netflix is working on Season 6 as well. This series is one of the most successors on Netflix and I also enjoyed it. Humans destroyed the mankind and an international space station was built which can handle few thousand people onboard. But, as usual, resources are very limited and hence fewer people means longer survival. Hence, strict laws were built and the only punishments are lockup or death. Resources were becoming less so 100 people, who were in lockup, sent to earth. They need to survive in a very new environment and hence it was very challenging for them. Later on, they figured out that there are still some human survivors on land and those survivors started doing worse things with them. Many clans were on earth, fighting with each other for land and resources. Later on, City Of lights was introduced which seems to be the savior of mankind but that wasn’t true. Many interesting and sci-fi things are continuously going around in The 100 series. You shouldn’t miss it at any cost. Black Mirror comes with very interesting episodes. Every episode has its own logic and story, filled with sci-fi ideas. Every episode also describes that how technology can be useful to solve very complex crimes, monitoring our children activities, figure out if the partner is cheating on you or not and much more like that. Black Mirror completely describes the merits and demerits of technology on humans and human life. Despite the story, it’s also interesting to think that what if the tech shown in series becomes realistic after few decades in mankind. 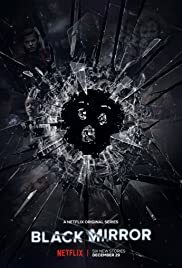 I highly recommend you to watch Black Mirror. For those who don’t want to watch the long series can also watch it because every episode has its own story. They aren’t connected with each other. Lost In Space is pure imagination of showing the ways which human civilizations can use to survive. We already know that Earth isn’t going to last long because we’ve polluted it on higher levels, and countries are hungry for lands and resources. There’s only 1 season and it’s expected that next season will come in 2019. In the story, families are given a spaceship, they are well trained and authorities want them to find a suitable planet to live on. One of such families is shown in the series, trying to survive in very harsh conditions. They somehow crashed and landed up in an unknown planet. They came in contact with extraterrestrial robots and technology who also crashed on the same planet. Many other human spaceships also crashed on the same planet after a few days. Later on, it’s discovered that the planet on which they’re currently on is about to die. So, they started working to get out ot there as soon as possible. 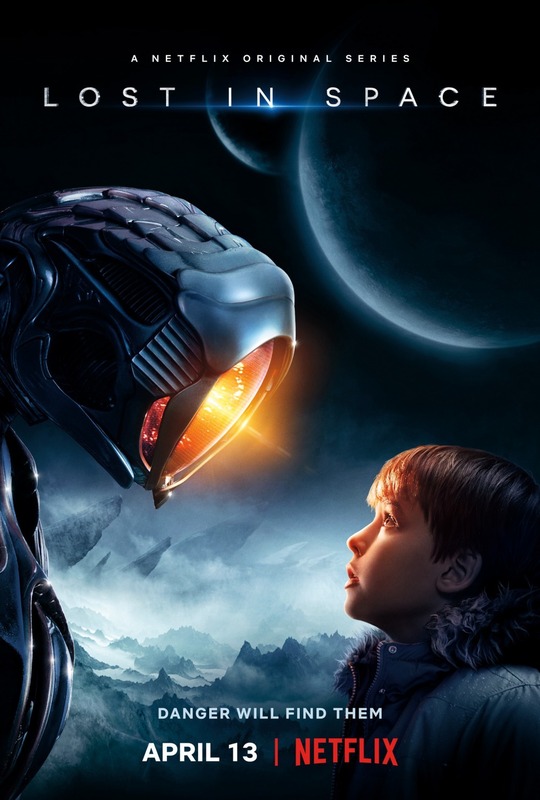 Watch Lost In Space and know more about the crunch and Sci-Fi things going on in the series. Altered Carbon nicely describes what it’ll happen if humans can create a clone of bodies and can back up the human minds as well. I really enjoyed the story and certainly, you’ll also enjoy it. It’s loaded with sci-fi logics and gadgets as well. Basically, in the story, a man was offered a new body, after being in ice for more than 250 years. Dozens of things were changed and a very powerful billionaire want him to find the people who want to kill him by destroying the backup of his mind. Ongoing investigation let that prisoner know that there are a lot of bad things going on. He then came in contact with a female police officer. Entire investigation discloses different secrets. Entire series makes us the thing from a very different perspective. A world where we can entirely save yourself for hundreds of years by creating our clones. Altered Carbon story is a fine balance of sci-fi gadgets, technology and politics as well. Dark is also counted as the horror Netflix series. It’s scary to watch some parts in the story but each episode is very interesting and leaves curiosity in viewers to watch the next episode. There’s one season in Dark. It’s based on Time Travel and sci-fi science experiments. In the story, there’s a cave which is the way to future and past. Some kids and men unknowingly went through that cave and landed up in future and past as well. Time repeats itself in the story and it’s really interesting to watch the entire season and combining the different scenes at the end of story. 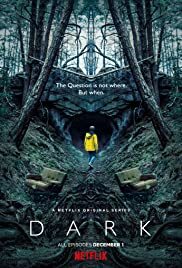 I highly recommend you to watch Dark on Netflix. Genius is sci-fi but for the people living in the 18th century. It looks like a joke for most people but I think that it’s really interesting to watch the entire series. It’s based on the very influencing and historical discoveries in mankind and the struggle of their founders. Bill Gates, Steve Jobs, Tesla etc. are also covered in the story. I found it very interesting to see that how all these genius people managed to discover some of the greatest things in human history. 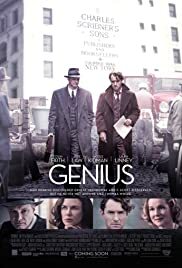 You should also watch Genius on Netflix and you’ll appreciate it just like me. Let’s wrap this up. Let me know your suggestions and thoughts regarding the article and suggestions of series which I’ve shown in this article. Feel free to drop down your favorite Netflix Sci-Fi series in the comment section. Is Digital Technology Disrupting The Traditional Business?